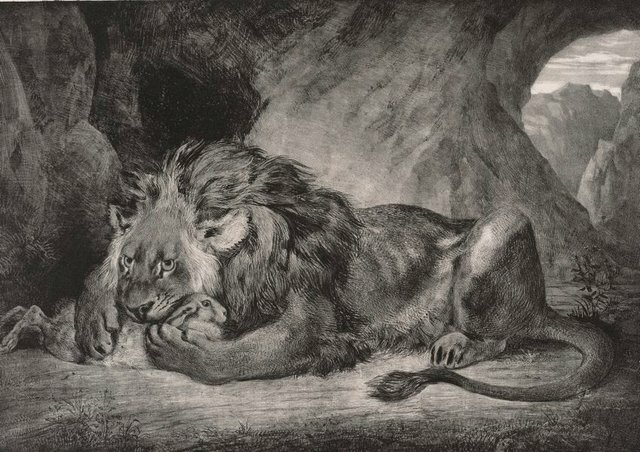 Delacroix’s portrayals of wild cats owe a fundamental debt to the lithographs of Géricault. He also greatly admired the works of the British animal painters George Stubbs and James Ward. Delacroix remained deeply fascinated by the ferocity of wild animals, which for many romantics revealed nature’s primal energies beyond the power of human reason.